On the day Mary Bara was promoted to CEO of GM, I happily tweeted a congratulatory message and spent some time fantasizing about being the first female Motor City CEO. 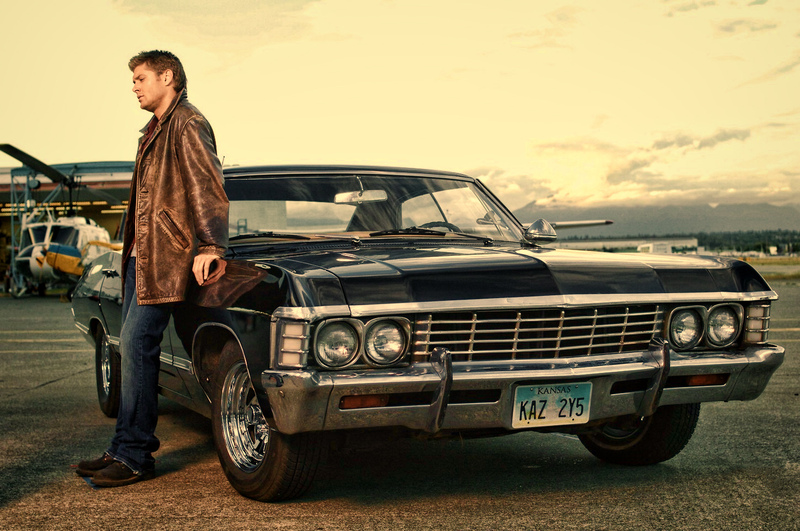 I admit a large part of that may be my fantasy about having a 1967 Chevrolet Impala just like Dean Winchester’s, but there also exists a desire to see women in the driver’s seat of a Detroit car company (insert groan for the horrible pun.) I was not, however, thinking about running a company that was hiding a product defect that resulted in the deaths of 13 people and the recall of millions of cars. When I did start to think about it, the first thing that came to my mind was the need for crisis communications and I was impressed, as always, by communications expert Paul Argenti’s advice for senior leaders in a recent HBR blog. Crisis management in the public sector can be even more complicated than in the private sector because the United States has more than 300 million stakeholders. Consider, for example, the situation at the Department of Veterans Affairs. The implications of the crisis at the VA, like that at GM, not only demand crisis communications to the public at large, but also to employees. VA employees are under intense scrutiny even though the vast majority are doing their absolute best for our Veterans. This is precisely where the advice for senior leaders needs to align with actionable advice for HR. Align External Communications with Internal Communications from Day One: HR may not be the first people you think of to address a crisis any more than the employees are your first stakeholder audience, but HR is critical in mitigating the impact on employee productivity, engagement, and retention. Moreover, employees should not be the forgotten stakeholders in a crisis. HR should be more than consulted on employee impact; HR should be accountable for making sure the organization can make the changes necessary to address the issue – and that starts with internal communication. Mea Culpa to The Employees, Too: Paul Argenti recommends to “admit your mistakes publicly” and that’s sound advice. That mea culpa should also include an apology to employees who will be affected by the crisis and it should be timed as closely to any public apology as possible. No one likes to learn bad news about their organization from a news report any more than Obama wanted to find out about the VA crisis on the news. If an apology is issued to customers, employees deserve one, too, as most of them had nothing to do with the crisis at hand. HR should also reiterate available support to employees, especially if the crisis is of a tragic nature. Provide “Talking Facts”: In crisis communications, the rumor mill is a formidable enemy and hierarchal credibility may have been damaged by the crisis itself rendering traditional executive-level communications less effective. It’s imperative that “the truth is out there” and consistently understood. To that end, have “talking facts” ready for all line managers and accessible by all employees. These should be “facts,” not “points.” Make sure managers know what has happened, why, and what is being done to address it – and have facts to back it up. Be sure supervisors communicate directly with each individual, even if only in a team meeting setting. Information coming from direct supervisors may be more effective than information from senior level executives in certain crisis situations. Moreover, having the facts available to all employees provides transparency, which increases trust throughout the organization. Communicate Not Just the “What,” but the “Why”: Of course employees need to know as much as possible about the crisis and what will be done to address it, but employees also need to know WHY it happened. Understanding the WHY assures employees that the organization has the information to address the issue and that each individual can play a role in it not happening again. You may not know the “why” from the get-go, but you can certainly explain the plan to determine the root cause of the issue and also explain what role employees can play in resolution. The WHY often includes cultural elements that can take time to unravel, such as at crisis at Fannie Mae or at NASA. In the case of culture, it’s important to talk about the core values of the organization and how the organization lives those values while it investigates what needs to change and how. Do Your HR Thing and Communicate It: A natural part of HR crisis management is to determine the HR impact and develop a plan to mitigate it including, for example, using incentives such as retention bonuses to retain top performers and key employees. If incentives will be implemented, make that known early and often. If policy changes are coming to address deficiencies, communicate that changes are coming even if you don’t know what the changes will be. HR can wield tremendous power in keeping a workforce productive through a crisis, but the edge is dulled if the employees don’t have knowledge of what’s to come. Finally, use HR’s communications methods (e.g., exit interviews, surveys) to take the pulse of the organization so issues can be addressed immediately. What role does your HR organization play in addressing organizational crises both large and small? What advice would you give to other HR professionals as they deal with crises?